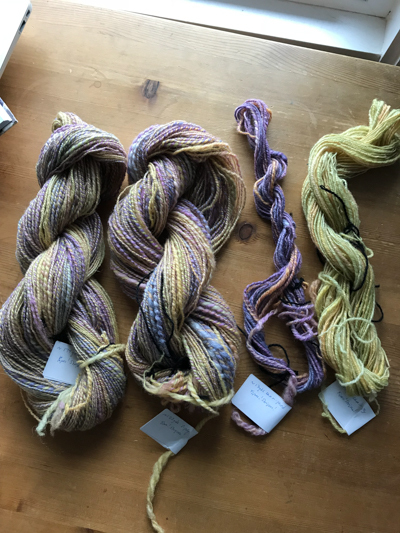 I was aiming for 2-ply sock yarn. 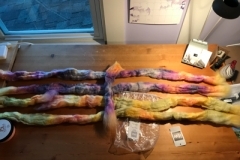 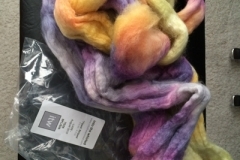 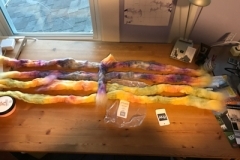 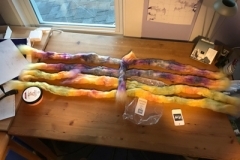 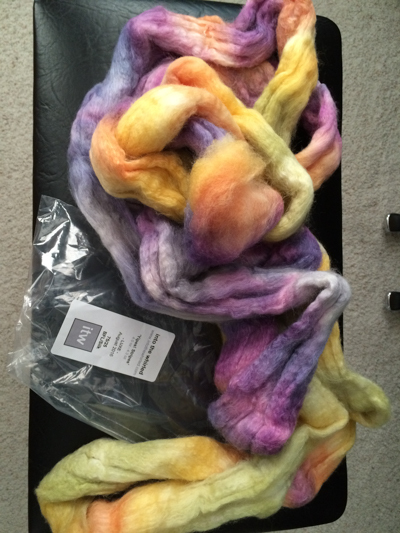 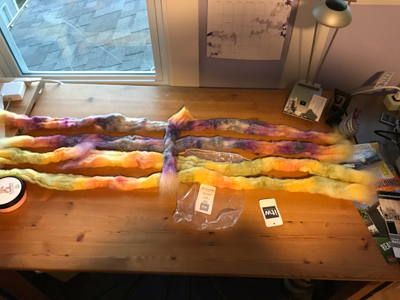 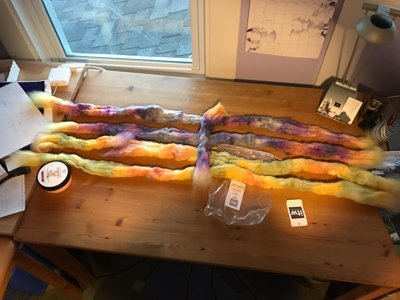 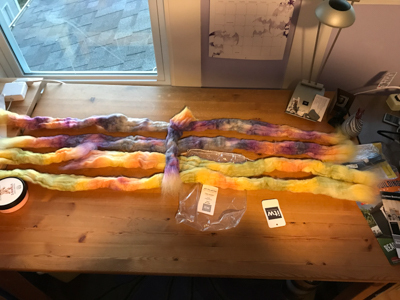 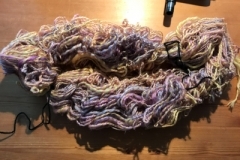 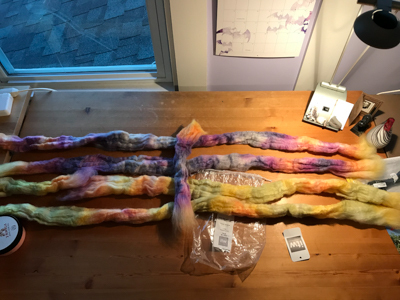 Divided the ITW fibre into 4 equal-ish segments — two each of “purples and oranges” and “yellows and greens”. 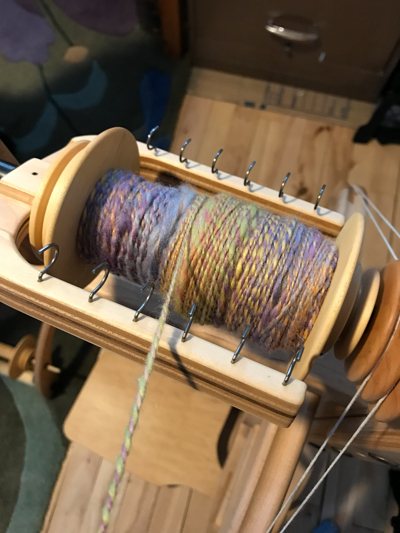 I spun the singles over a period of a few months (late October through February — travel and holidays got in the way). 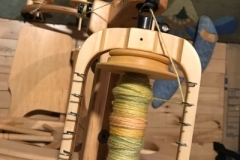 I struggled a bit with various bobbins and keeping the wheel properly lubricated. 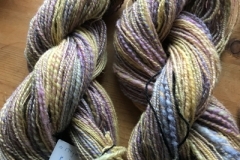 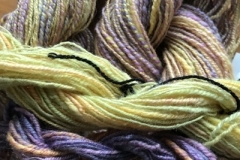 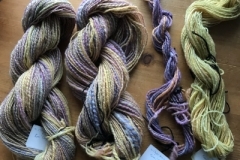 All that to say that the 2 skeins (plying one yellow/green and one purple/orange for each) are quite different. 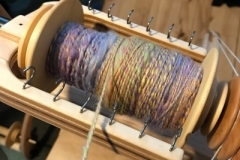 The skein from the earlier bobbins is less consistent, and overall thicker. 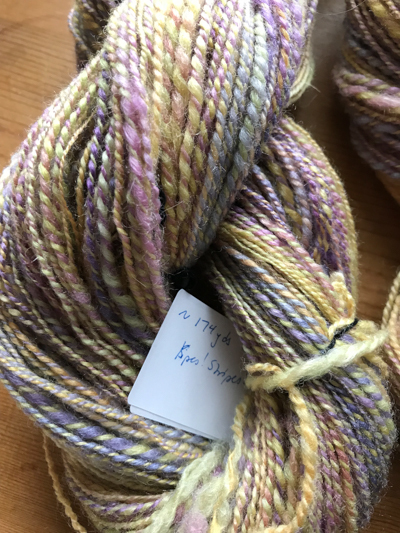 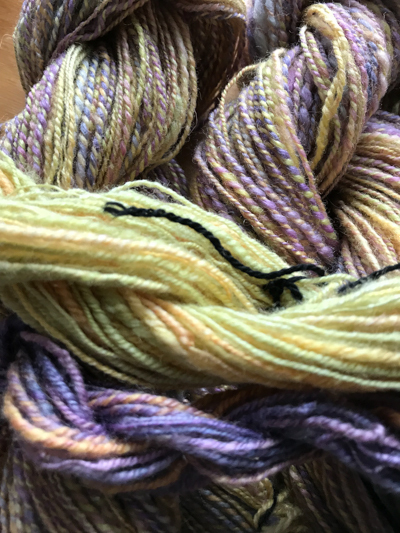 The later skein is about as consistent as I get (which is to say, not very), and the singles were finer. 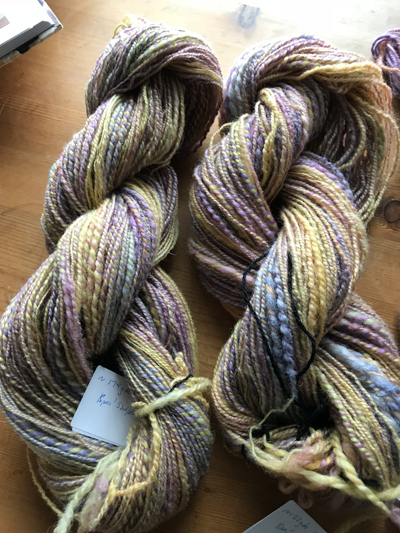 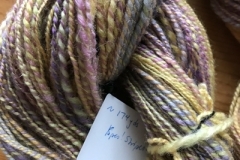 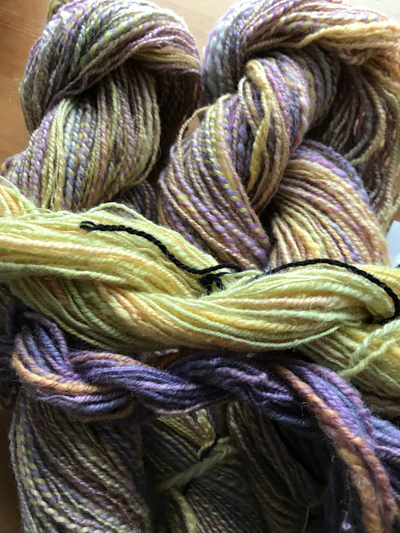 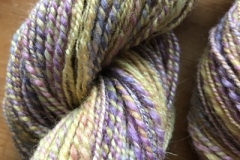 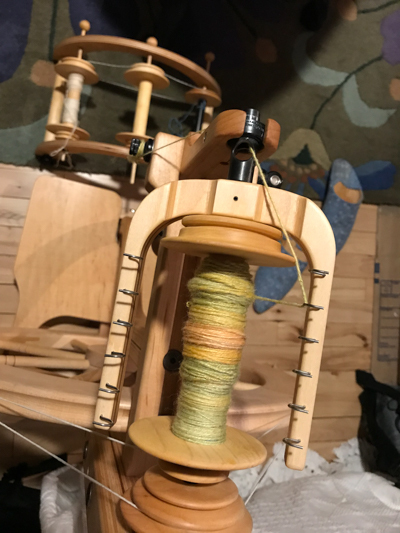 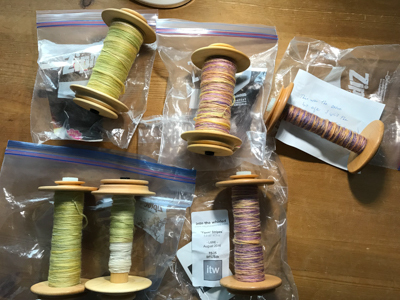 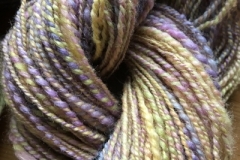 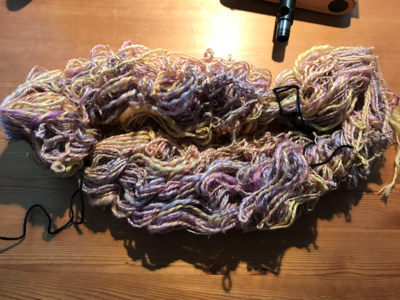 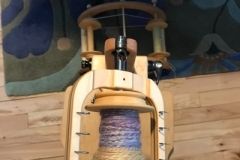 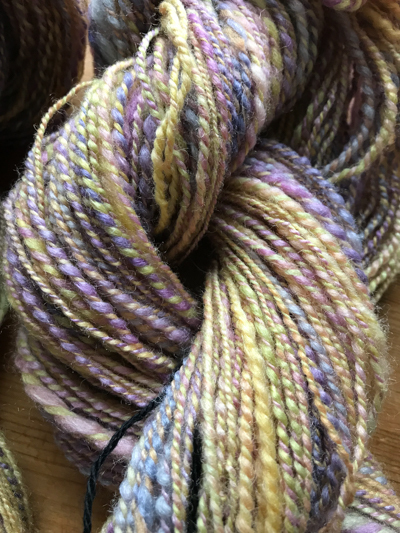 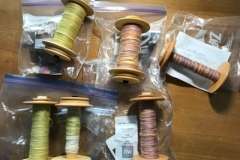 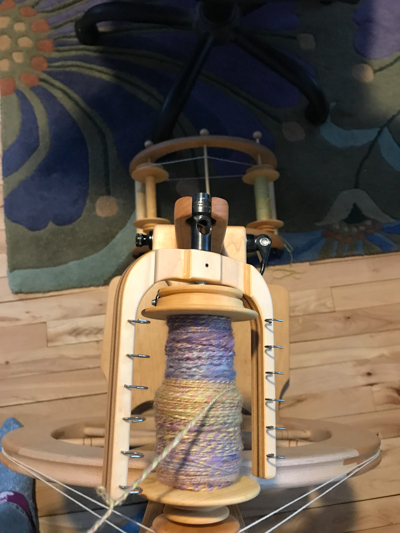 I also chain-plied the leftover singles of yellows/greens, and purples/oranges. 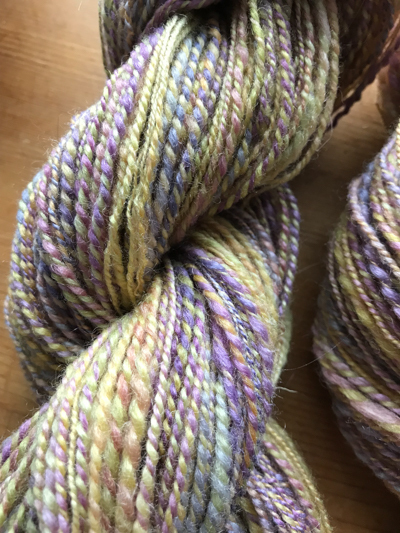 I’m still quite pleased with the outcome — the yarn is outright pretty, the colors are nicely balanced throughout, and I might even be able to knit socks with it! 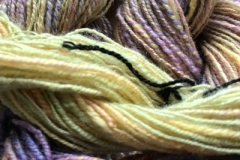 (I’m thinking of using the finer skein for both feet parts, and the thick/thin skein for the ankles & cuffs).